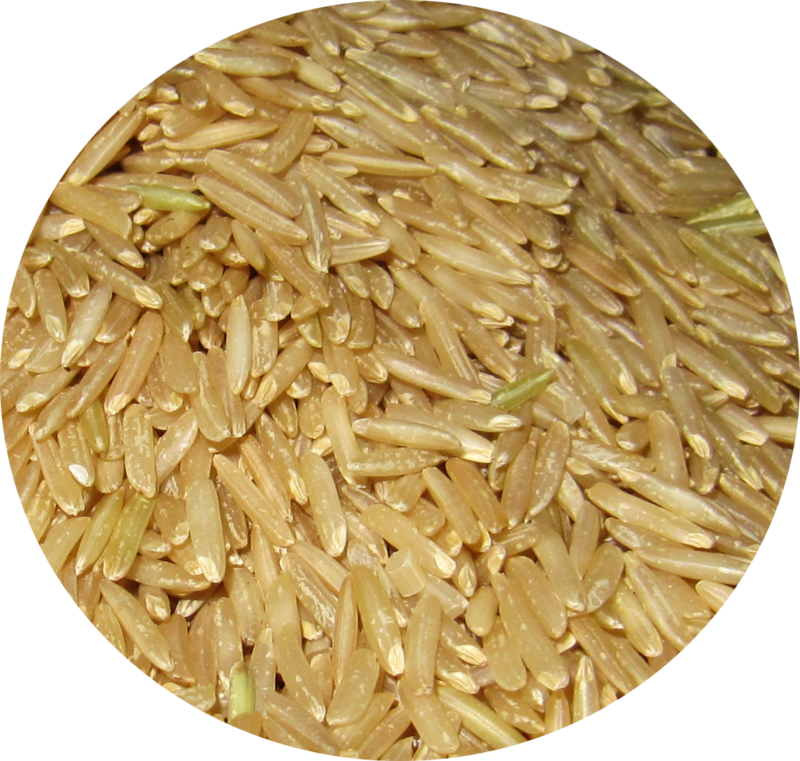 Rice is a staple food in most, if not all, Asian dishes. In South Indian cooking, white rice is served with all of our vegetable curries and rasams. 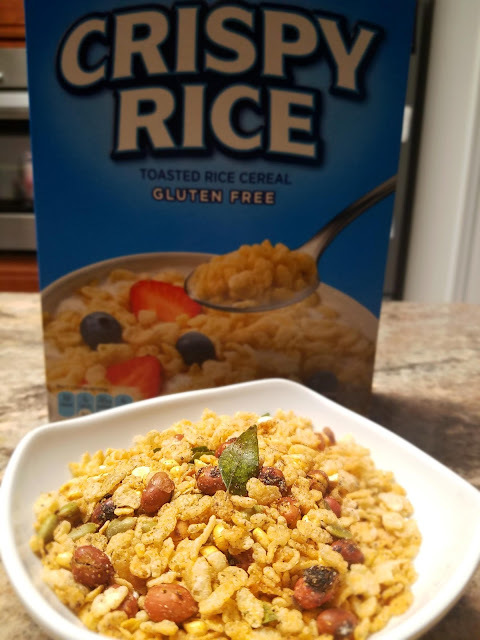 After reading more about the various kinds of whole grains that are beneficial for us, we made a healthy switch to brown rice - which brings us to the first super food ingredient. Brown rice has a lower glycemic index than white rice. That means it doesn't raise blood sugar levels as much after you eat it. Any measure that can be taken to lower the risk of getting diabetes sounds good to me. It's also a great source of fiber, magnesium, zinc, and vitamin B-6. 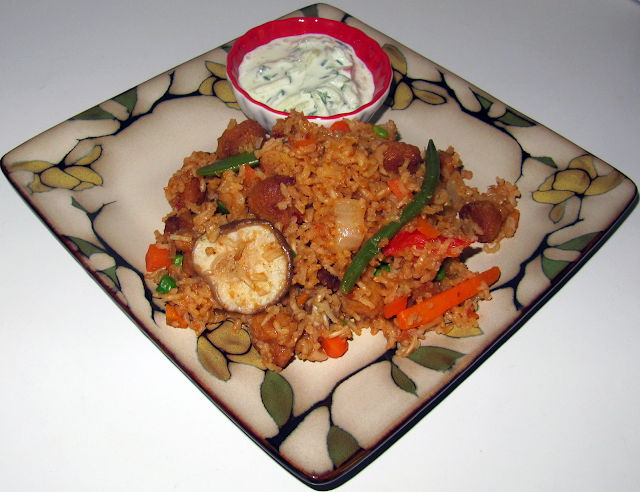 Below is a great way to spice up brown rice and enjoy eating healthier. In a large saucepan heat oil, add moong wadi and stir fry until they turn yellow to reddish-brown color. Then add cumin seeds; when they splutter, add rice and fry until mixture becomes whitish. Next add ginger-garlic paste, chili sauce and garam masala. Fry for two minutes and transfer the contents into an electric rice cooker. Then add 6 cups of water, tomato sauce, salt, and allow it to cook. (Hint: use the cup that comes with the rice cooker for the water measurement; otherwise measure 4 cups of water using a regular measuring cup) Stir every 5 minutes to evenly cook. When rice is more than half cooked, add frozen vegetables. Mix well, close cooker with lid and cook until it's done. - Check out another great recipe with brown rice.